Half the world's population speaks a language that has evolved from a single, prehistoric mother tongue. First spoken in Stone Age times, on the steppes of central Eurasia 6,500 years ago, this mother tongue spread from the shores of the Black Sea across almost all of Europe and much of Asia. It is the genetic basis of everything we speak and write today-the DNA of language. 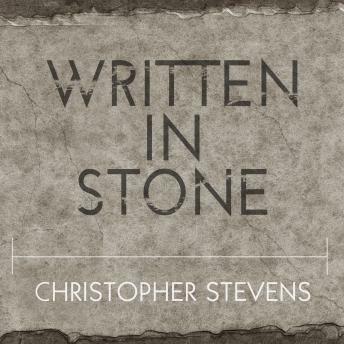 Written in Stone combines detective work, mythology, ancient history, archaeology, the roots of society, technology and warfare, and the sheer fascination of words to explore that original mother tongue, sketching the connections woven throughout the immense vocabulary of English, with some surprising results. In snappy, lively, and often very funny chapters, Written in Stone uncovers the most influential and important words used by our Neolithic ancestors and shows how they are still in constant use today-the building blocks of all our most common words and phrases.